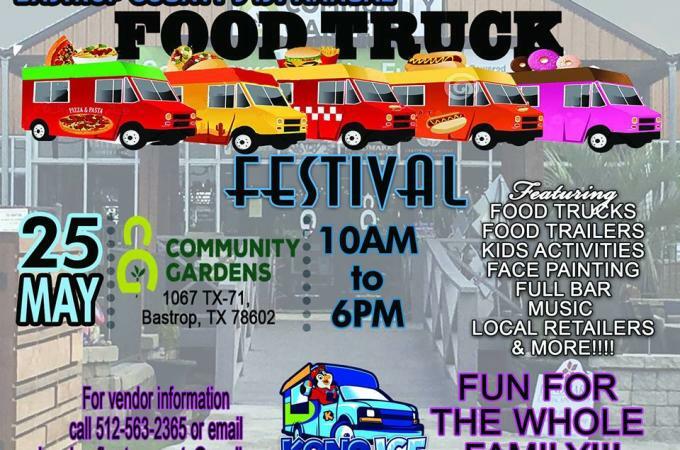 The 2019 Bastrop County Food truck festival will be held at Community Gardens located at 1067 TX-71, Bastrop, TX 78602. 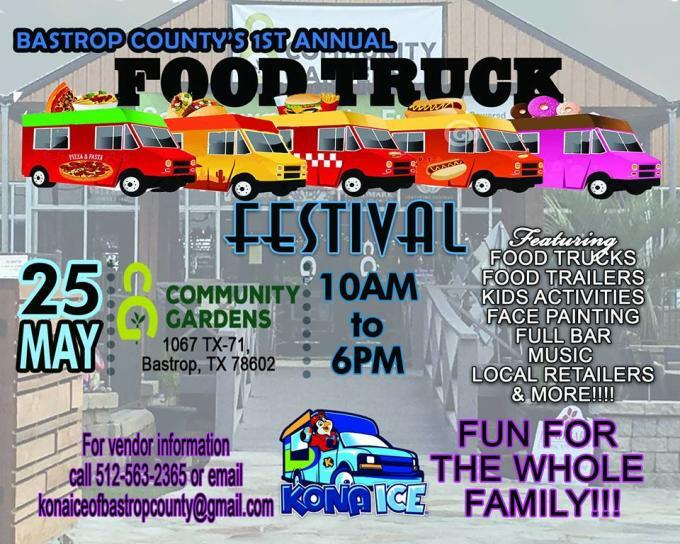 This will be the 1st food truck event scheduled on Saturday, May 25, 2019 from 10am to 6pm. We plan on having a wide variety of trucks, entertainment, and family-fun for the entire day. The festival serves to help promote and showcase the talents of the participating food trucks, activities, and crafts of our local vendors. NOW BOOKING FOR CHILDREN'S ACTIVITIES AND FOOD VENDORS! !